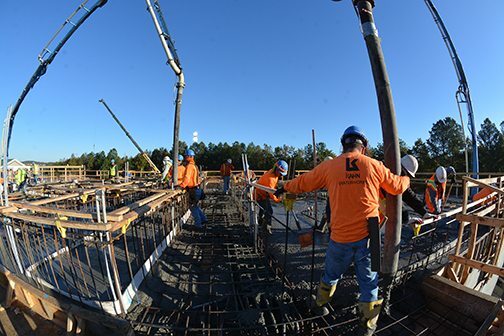 M. B. Kahn recently completed a critical concrete pour on Friday, October 27th for the James Creek Water Reclamation Facility Expansion & Upgrade project in Suwanee, Georgia. 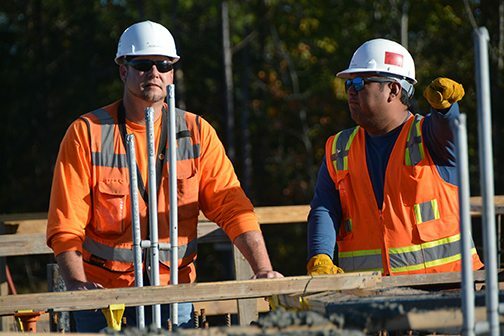 This team effort included over 40 concrete trucks dispatching every five minutes to the site and was crucial to the project schedule involving over 40 men and women of our James Creek crew. 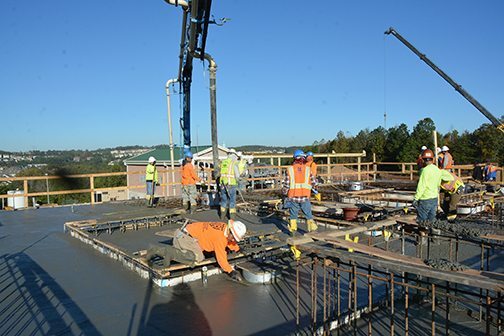 This elevated slab is 22 feet above ground, reaching five foot thick in areas atop the recently completed support columns and perimeter walls. The pour required over 341 yards with two 36 meter pumps running simultaneously. 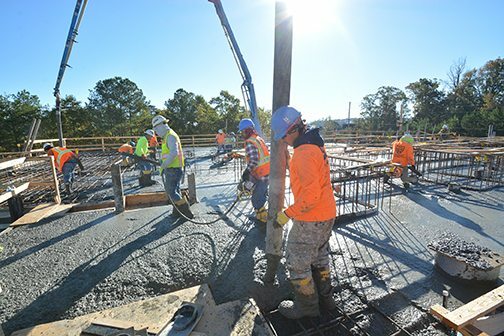 This process was completed efficiently and safely by both M. B. Kahn and Thomas Concrete of Georgia in under four hours. 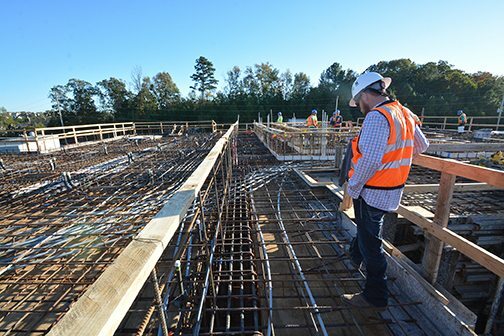 M. B. Kahn was awarded this fast-tracked, $25 million project by Forsyth County Board of Commissioners in the Summer of 2016 through the County’s competitive proposal selection process. We are on schedule for an early 2018 completion.